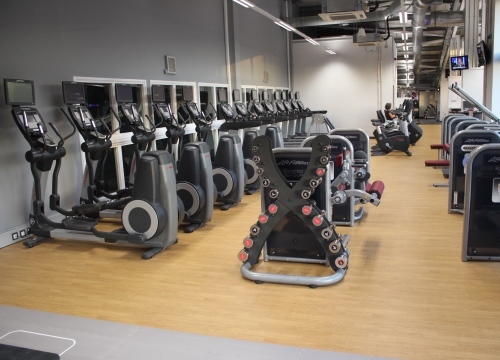 The area is particularly good for beginners, those getting back into exercise, juniors and anyone exercising to rehabilitate from injury or illness. 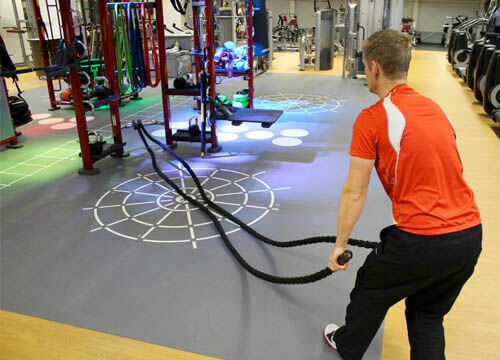 Here you will find a range of resistance machines that are really easy to use. 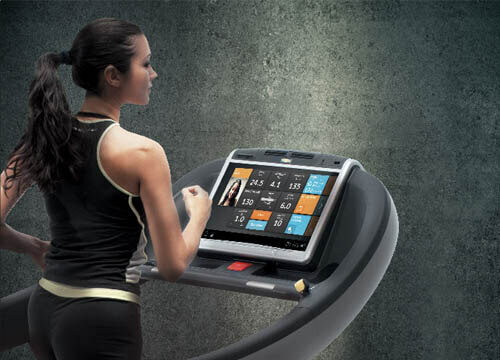 Treadmills with simple “get on and get going” control screens. X-Trainers (two types) – great for a low joint impact, a whole body work out with variable stride length making them suitable for everyone. Stretch area – does what it says! Myride Cycles - fancy cycling through amazing scenery around the world or be led by world class master trainers - with these bikes you can. 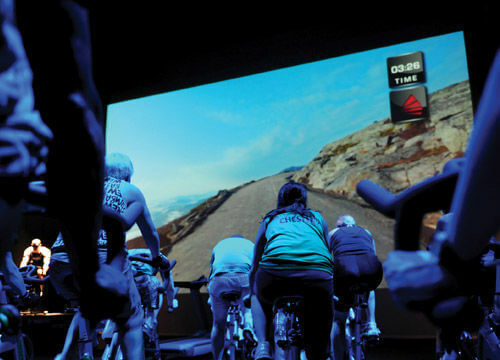 You choose your programme and this is a great way to prepare for cycling outdoors by training indoors. Where will you ride today? Functional training; body weight training and high intensity interval training are really popular ways to exercise right now. Don’t worry if you don’t know what these mean we’ll fill you in when you get started – quick effective ways to train for great results. 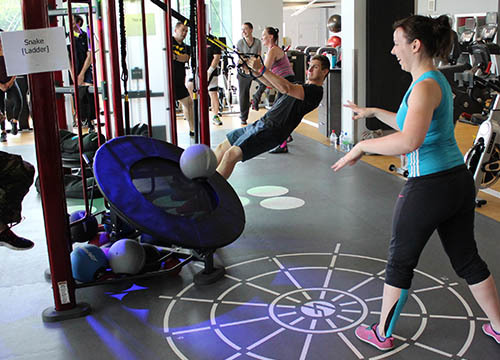 Synrgy 360 - a large exercise rig which enables you to train your whole body in one place. The rig includes a medicine ball rack and rebounder for some great fun upper body exercise plus a range of other options to optimise your workout. To get the most out of this try a Synrgy group classes or ask an instructor to how you some exercises to get you started. We also have Ski-Ergs - what on earth are they? Quite simply these look and function like standing up rowing machines. They are a super simple machine to get your heart rate up and give you a great cardio workout. Easy to use with a QR code that allows you to call up a demo video and also log your training records on a phone app. Each part of your body can be toned and strengthened on these machines. 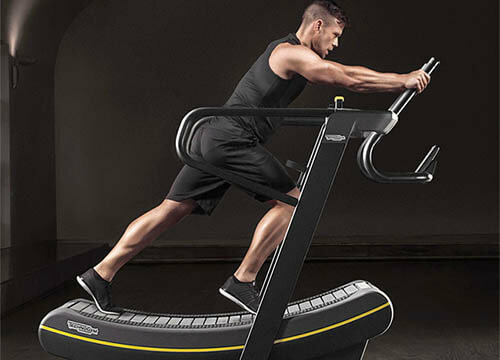 Skillmills - Similar to a treadmill but they have a curved deck helping to minimise impact on ankles, knees and hips. Use these for speed with light or no resistance or for power and strength training. Another different and fun way to train. X-Trainers in this space are great total body machines. They allow you to go at your own pace and change resistance to suit your level. Stride through some amazing real world location films ranging from Argentina to Utah. Internet enabled so you can track your activity via Bluetooth to your device. 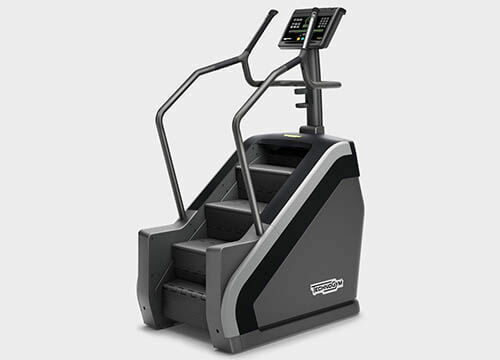 Treadmills – these larger treadmills feature super smooth running surfaces. They also feature running programmes and fitness tests as well as stunning real world locations to help motivate your walk, jog or run. Internet enabled so you can watch your favourite shows or listen and watch music videos on demand. This space is screened to allow you to focus purely on your performance. Featuring matted flooring throughout and the best pound for pound equipment available your time here will be well spent. Plate Loaded resistance machines - these machines are used by professional sports team/athletes the world over serious equipment for people who are serious about achieving their goals. Dumbbells from 2 to 52kg. Hammer Strength Power and Half Racks – These amazing rigs are the toughest rigs around, for all your lifting needs.